International American University has recently appointed several new faculty members to serve as clinical department chairs. In the role of department chair, each will be responsible for leading the department to a position of academic and professional leadership, while furthering the goals and missions of IAU College of Medicine. “International American University continues to build upon its mission and vision by recruiting top-notch faculty whose combined wealth of knowledge will help position IAU students at the forefront of medical education,” said Manish Nair, University CEO. Dr. Stephen Katz, MD, FACP joined the faculty of the International American University in February, 2016. Dr. Katz served as the Chairman of Internal Medicine at Ross University School of Medicine for eighteen years, and also served as the director of the Internal Medicine Residency Program at Prince George’s Hospital in Cheverly, Maryland. He currently practices Internal Medicine in Severna Park Maryland. Dr. Katz attended the University of Maryland School of Medicine and completed residency training in Internal Medicine at Johns Hopkins Bayview Medical Center in 1992 when he also earned board certification in Internal Medicine. He was an assistant clinical professor of medicine at the University of Maryland Medical School from 1995 to 1998. Dr. Katz completed the faculty development program in medical teaching at Johns Hopkins University in 1997. Dr. Katz is also a Fellow of the American College of Physicians. Dr. Najla Abdur-Rahman is a Board Certified Pediatrician and Medical Director of her own practice in Baltimore County, Maryland. She did her pediatric residency at Johns Hopkins Hospital and obtained her medical and undergraduate degrees at Johns Hopkins University schools of Medicine and Engineering respectively. Dr. Abdur-Rahman has a passion for teaching and has trained many pediatric residents, nurse practitioners as well as medical students. She served as a clinical preceptor for Johns Hopkins Hospital and University of Maryland pediatric residents programs. She was also appointed Associate Professor at the Johns Hopkins School of Nursing. Dr. Abdur-Rahman is well connected with area hospitals as either an associate or active staff physician. She is a fellow with the American Academy of Pediatrics and a member of the Maryland State Medical Society. She has an interest in patient and parent education especially working with underserved populations. Dr. Abdur-Rahman was born in Brooklyn, New York and raised in Barbados, West Indies. She is married and a mother of four children. In her spare time she loves traveling with her family and trying new recipes. She’s also an avid basketball player. 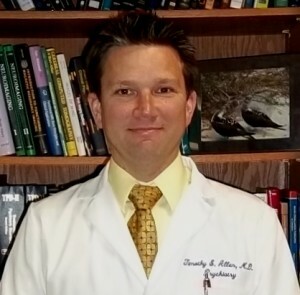 Timothy Allen M.D. is the Chairman of Psychiatry for IAU. He has been with IAU since 2012. He also serves as an Associate Clinical Professor and Director of Forensics at the University of Kentucky Department of Psychiatry. He also has a private forensic practice in Lexington Kentucky, specializing in traumatic brain injury evaluations and is currently an evaluator of Competency and Criminal Responsibility at the Kentucky Correctional Psychiatric Center. Dr. Allen was originally from Louisville, KY. He obtained a B.A. in Political Science from the University of Louisville then attended the University of Kentucky College of Medicine where he obtained his Medical Doctor degree in 1998. He completed a Psychiatry Residency at UK and served as the Chief Resident in Psychiatry from 2001-2002. In 2003, he completed a Forensic Psychiatry Fellowship at Tulane University in New Orleans. After completing his training Dr. Allen returned as a faculty member to the University of Kentucky. He served as the Clerkship Director for Psychiatry for seven years and was a member to the UK College of Medicine Curriculum Committee for a two year term. He continues to act as the Director of Forensic Services at UK. He currently supervises two psychiatry resident clinics. He has received teaching awards for curriculum development and outstanding supervision. Dr. Allen is an active member of the Forensic Neuropsychiatry Committee for the American Academy of Psychiatry and the Law. 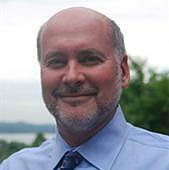 He is a regular presenter on topics related to traumatic brain injury and dementia at the AAPL annual meeting and has been a reviewer for its peer-reviewed Journal. His current research projects involve investigating the relationship between neuropsychiatric conditions and criminal behavior. Dr. Allen has endeavors to lift the stigma associated with mental illness and its treatment. He endeavors to provide psychiatric training to primary care providers who are at the frontline for treatment of mental illness in our society. He believes that a fundamental understanding of psychiatric illness and its impact on medical treatment in general is a crucial aspect of all medical education. Dr. Daljeet Saluja is an experienced, board-certified Family Medicine doctor dedicated to providing patients with compassionate, thorough medical care. He specializes in the management of chronic conditions such as hypertension, diabetes, COPD, Asthma, Coronary Artery Disease, Arthritis and Obesity. Dr. Saluja also is a firm advocate of preventative care. He takes great pride in having seen Saluja Medical Associates grow primarily on account of our loyal patients, who recommend SMA to friends and family, and strives to provide the highest level of healthcare to his patients. Dr. Saluja is also board certified in Hospice and Palliative Care, and is also is a certified wound care physician. Dr. Saluja is active in the broader Baltimore medical community, serving as Chief of Family Medicine at Maryland General Hospital, Medical Director of Keswick Multicare Center and Clinical Associate Professor of Family Medicine, Ross University School of Medicine. As part of his dedication to educating the next generation of Family Medicine Physicians, Dr. Saluja actively mentors medical students and residents through his offices. He is affiliated with Union Memorial Hospital, Maryland General Hospital, Keswick Multicare Center. His residency was at North Oakland Medical Center, Pontiac, Michigan (2002) and attended American University of Caribbean (1997). Dr. Mayor is a department chair and attending physician and clinic medical director at Providence Hospital, and teaching faculty at Howard University, as well as a fellow in the American College of OB/GYN. With a strong interest in risk management she also earned a degree in law to better understand the processes and factors contributing to the malpractice and litigation system in medicine. The combination of a medical and legal background has proven to give IAU students a very unique perspective during their training. W. Peter Geis, M.D., is chief of the division of minimally invasive surgery at Northwest Hospital and a pioneer of laparoscopic surgery in the United States. He also heads the MIS fellowship program. A graduate of Loyola University School of Medicine, Dr. Geis is board certified in surgery by the American Board of Surgery and a member of 39 surgical societies, including The American College of Surgeons, Founders of Laproscopic Surgery, American Society for General Surgeons, and is past president of the Society for Laproscopic Surgery. Post residency, he completed his fellowship in transplantation and served as chief of transplantation for a decade. Dr. Geis’s recent research focus is on the use of laparoscopy in surgical abdominal emergencies, laparoscopic ventral hernia repair, MIS colo-rectal procedures, hiatus hernia repair and the use of “single incision” laparoscopic surgery.